Located in Saint Paul, MN. 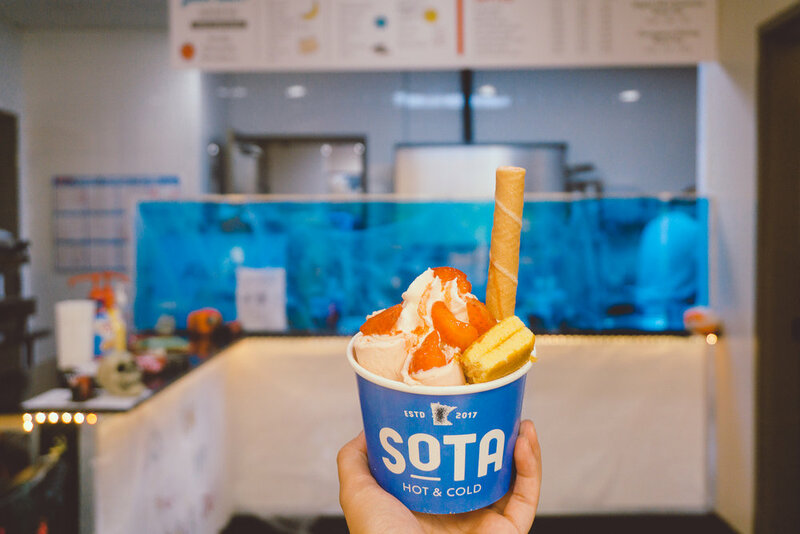 Sota Hot and Cold brings together Thai Rolled ice cream and Coffee! 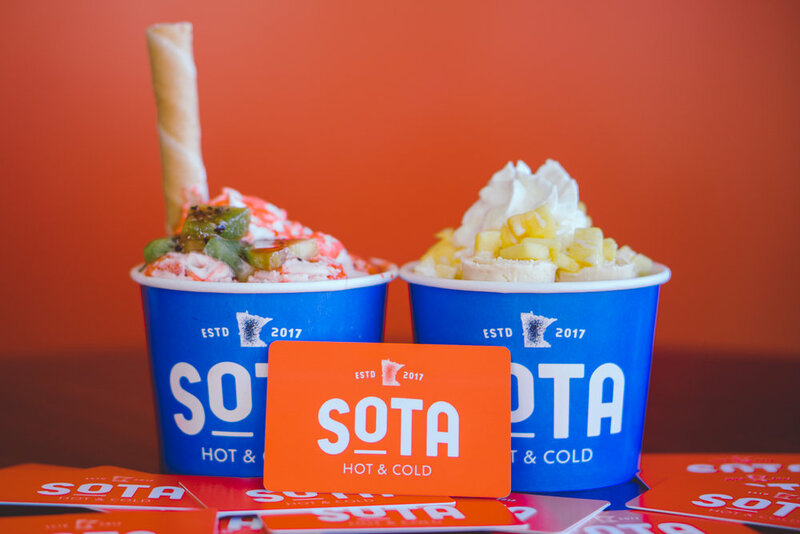 Sota Hot and Cold was founded and began operations during the Little Mekong Night Market on July 2017. Owner Pheng came across this concept on his visit to Thailand and wanted to bring it to his hometown in MN. We've opened our doors on August 19th, 2017 and have had an amazing opportunity to engage with customers locally. We want to ensure that customers feel at home when they visit our shop. We care about the people and their experience with us! We offer 12 signature rolls and an option to "Build Your Own" with a variety of different ice cream bases and toppings! All of our dessert are made in front of you with all natural ingredients, and no added preservatives to ensure customers have a tasteful and great experience! Cake, Strawberries and more strawberries! Ube and Matcha Green Tea Base, Crushed Oreos, Kiwi, Strawberries, Mangos and Pocky sticks! Looking to order gift cards?